A Professional Business Website or a Mere Placeholder? Choose Wisely! 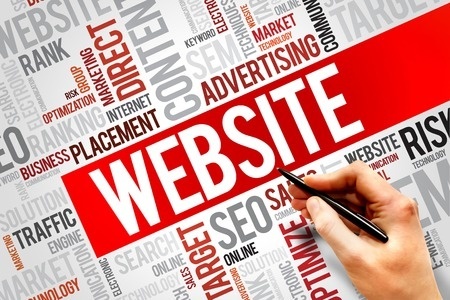 If your company’s website is little more than a kind of digital business card with basic information, you’re missing out on all the benefits you can reap from a truly professional business website that puts the WOW factor into your online presence. We’ve seen it happen over and over again – running your business is a more-than-full-time effort, so at some point you knew you needed a website and you went ahead and put something together yourself using one of the many free template sites out there like Wix or Weebly. It was fast and free and allowed you to check an item off your to-do list. Besides, you fully intended to do something much better when you had more time and resources to devote to it, right? But here you are however much time later, and you still only have that very basic site, and frankly it’s probably doing more harm than good. Yes, your company’s website does function as a kind of digital business card, and it’s out there for the whole world to see. Is it a business card that stands out as unique? Does it have the WOW factor you need? You want to get this right because people all over the planet are going have the first encounter with your business through your website. You want it to be thoroughly professional. That means professional original photos (not just a bunch of stock images) and videos, fully responsive design so it renders properly on any device, professionally written content, and much more. Do you have all those skills? Probably not. That’s why it makes more sense to work with a team of integrated professionals who all have the same goal: Building the best professional business website as possible for your company. You mention a special deal on social media and then link to the deals page of your website with the full level of detail customers need and want. You’ve got information about an important upcoming event – you mention it in your social media and then link to the blog page where you have a full article about the event. You highlight a particular service in social media and then link to the page of your website with all the details on that service. You just wrapped up a significant project or event, so you mention it on social media and then link to the portfolio page of your website with a collection of photos about it. Do you see a theme developing here? Your social media marketing always points back to the central place where everything comes from – your company website. When you think about it this way, can you afford to have anything less than a professional business website? Now that you understand how critical it is for your company to build that solid foundation of a professional business website, don’t settle for what you can do yourself with Wix or Weebly. Website Design Aruba has website design packages to fit nearly any budget, and you’ll have a team of integrated professionals all working together for your business success. Contact us now to get started! If there’s one thing all businesses need to realize at the deepest level possible in the 21st century, it is that all of us only have one place to call home – Planet Earth. Given that many serious environmental problems such as global warming, climate change, loss of biodiversity, toxic pollution and natural resource depletion continue to worsen, it’s time for all of us in the business community to start thinking differently about the way we do business. Two concepts that serve as starting points are the Circular Economy and cradle-to-cradle design. All those environmental problems mentioned above can be attributed largely to society’s traditional economic theory and business models that view the economy as linear or what’s called take-make-dispose. We take natural resources, make things out of them, and eventually throw out the things we made when they no longer serve us. Natural systems don’t work in a linear way. Instead, nature operates as a cycle, which is why the circular economy is a much better way to frame our economic and business activities. It tries to mimic the natural cycle of life by adopting the following three principles as summarized by the Ellen MacArthur Foundation: “(1) Preserve and enhance natural capital by controlling finite stocks and balancing renewable resource flows; (2) Optimize resource yields by circulating products, components, and materials at the highest utility at all times in both technical and biological cycles; (3) Foster system effectiveness by revealing and designing out negative externalities.” If you take this concept seriously, it has all kinds of profound implications for how we do business. Because we’re a website design company, we’d like to highlight one such implication for how we should be doing design within the circular economy framework. It’s called cradle-to-cradle design. The idea here is design things in such a way that little to no “waste” that has to be disposed. Instead, you use the “waste” for other purposes. You design a product so that if there are biological components, those can be re-used or composted and returned to the soil. If there are technological components, those are designed in such a way that they can be disassembled and re-used in the manufacture of new products or recycled. It’s important to note, however, that re-use is the focus because recycling tends to be energy-intensive and the circular economy is all about moving away from non-renewable energy sources and embracing renewable energy and conservation as much as possible. The design process framework is one where you look at every product component as a potential resource that can be used for something else. This is fascinating stuff, right? 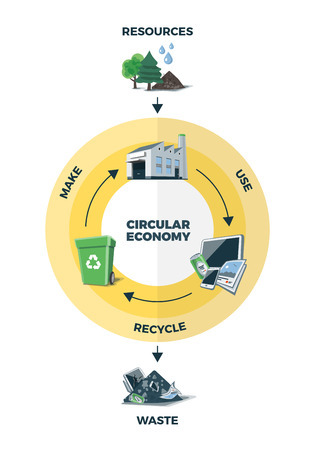 If you’d like to learn more about these important and timely concepts, Website Design Aruba is co-sponsoring a seminar on Wednesday April 11 beginning at 5:00 PM at the University of Aruba (J. Irausquinplein 4 – Aruba) on Circular Economy basics. The registration fee is USD 150 or AWG 267. Please join us to learn how businesses can participate in the Circular Economy right here on One Happy Island! New Website Investment: The Time has Come! Once upon a time in the not-too-distant past you realized your business needed to get on board with Internet and World Wide Web, so you or someone else created your company website. How many years ago was that? Whether it was five years ago or fifteen years ago, you know on some level that your business website is woefully out of date – maybe not in terms of the factual content it conveys, but more in terms of design and aesthetics. But a new website investment just sounds like a time-consuming and expensive process you would rather do without. Unfortunately, doing so is hurting your company. It’s time to understand the business case for building a better business website in 2017. Having any old website just doesn’t cut it in the digital era of the 21st century. When you come across a business website online that’s old, clunky, and ugly, what does it say about that business? Some people might assume it means the company is not doing well financially if they can’t even afford to make a new website investment that brings them up to current standards and trends. Others might assume it means the business simply doesn’t care enough about the online population, which is pretty much everyone these days, so it’s another negative impression no business can afford. Either way, it makes a company look out-of-step, indifferent, and in trouble. Before the Internet came along, business cards were super-important, and people went to great lengths to make sure their business cards looked professional and creative. Today you have to think of your company’s website as a digital calling card every bit as important as the old-school business card was – even more so when you consider that your website has instantaneous global reach in a way old-style business cards never had. When you spend the time and resources on building the best website possible, it can have dramatic bottom-line impacts on your business. Whether you sell products or services, your business website can be a powerful inbound marketing tool that not only attracts new customers, but helps you retain current customers by providing all kinds of engaging content. A new website investment should be all about getting real results that matter to your business. If you don’t even have any expectations from your current website, it’s time to explore all the different ways the right website can deliver business-enhancing outcomes from converting leads into customers, driving sales, keeping customers engaged with your brand, and so on. People wind up on your business website for a reason. They’re looking for something, whether it’s an answer to a question or a solution to a problem. Can they easily find what they’re looking for on your current website? Does your website easily render well no matter what kind of device is being used to browse the Internet? This is especially important when you consider the wide range devices in use today – desktops, laptops, tablets, and smartphones. Your site needs to be optimized and fully responsive so it works well on all possible devices. Here’s what should seal the deal for you – go visit the websites of some of your competitors. If your site pales by comparison, then a new website investment ought to be right at the top of your agenda for the first quarter of 2017, which will be coming to a close before you know it. If you’re ready to put the WOW factor into your online presence, look no further than Website Design Aruba. Contact us today!